A dozen years later, she’s long ago lost count of the times she’s crisscrossed the globe. And how could she possibly number the lives of women she’s touched and changed for the better? Yahoo named her “Person of the Year” in 2014; during those same 12 months, she was asked to join the elite mentoring class for the Laura Bush Women’s Initiative. Clothing manufacturer Levi Strauss honored her as one of 50 women internationally who have changed the political, cultural and spiritual shape of the future. She’s made appearances on Katie Couric’s show as well as on CNN’s Young People Who Rock. She received SMU’s Emerging Leader Award, the Dallas Women’s Foundation Young Leader Award and was a finalist for the 2016 Global Business & Interfaith Peace Award from the Religious Freedom & Business Foundation. Most recently, she received a $75,000 United Way award in Dallas. Underwood left Uganda to study in Italy. While there, she ended up in a hospital bed with a stress fracture … and plenty of time. “All I could think about was this woman,” she says. “It was a burden. 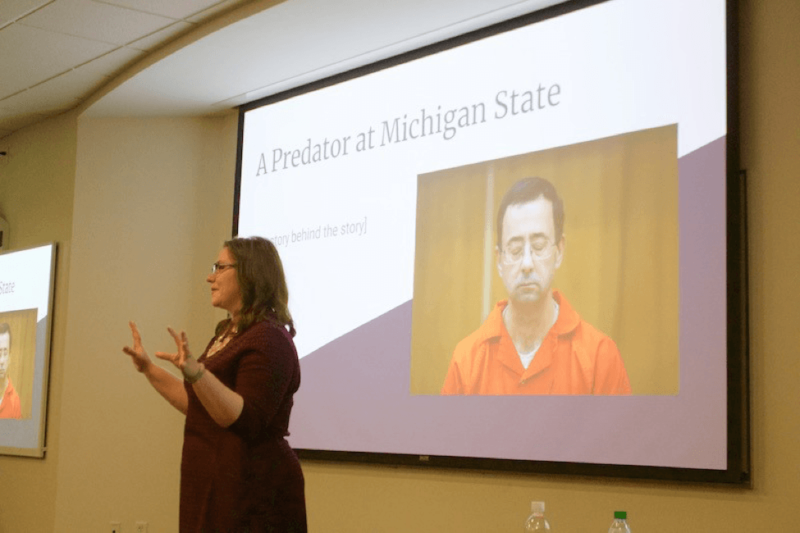 It wasn’t compassion; it was a burden.” Maybe she could just give Sarah a couple hundred dollars, Underwood remembers thinking, then go back to living her own comfortable life. But fate has its own inherent snickers, a way of steering one into the shadows to find unexpected purpose. A journalism major who decided she needed to raise money for an orphanage in that faraway place, she returned to Uganda and shot nine hours of film footage – heart-wrenching stories of children who were living the only lives they knew how to live and the women caring for them, but whose needs were beyond immense. “I’d never raised a dollar in my life,” she says. 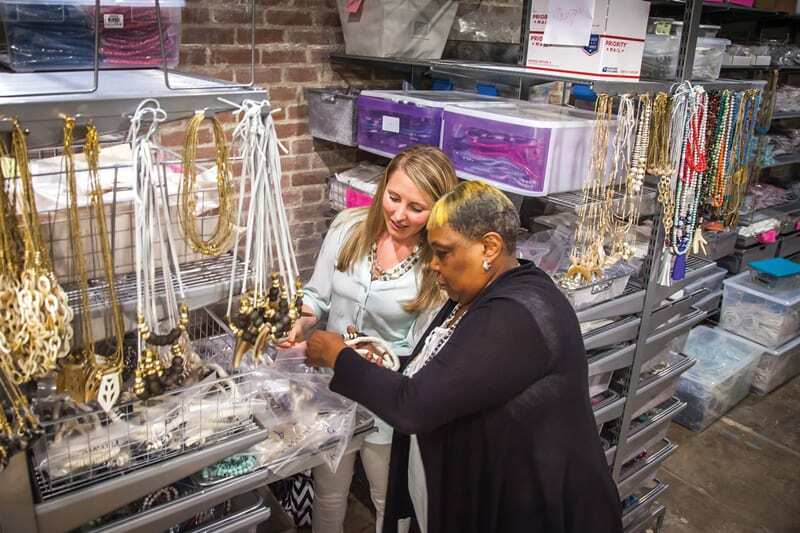 Jewelry made by women in the Akola Project ranges from hand-rolled paper beads to jade and pearls, and is sold online, in boutiques and at Neiman Marcus. Underwood met her challenge. She signed up for every nonprofit class at SMU. She graduated; founded the Ugandan American Partnership Organization, a partnership with a Ugandan ministry to build an orphanage; eventually raised $1 million for the project and moved to Uganda to help oversee its construction. Three friends from Furman University put their own jobs on hold and went with her. They lived in a dilapidated stone shack with three beds, a sleeping bag and no running water until members of the orphanage board told them they had to move to the city. So how to harness the passion of these women and help them make their own lives better? The answer was jewelry, but it was not quite yet in the story. Though the orphanage was now completed and under local management, Underwood was getting frustrated, feeling that it was not the best model to care for disadvantaged children. “I was about to throw in the towel,” she says. “Then I thought, ‘No. There’s something here. I’m going to commit to this country.’” She determined that building an orphanage alone would not empower the women financially. Earning a living wage, on the other hand, “would directly affect them by allowing them to care for more children,” she says. She established the nonprofit Akola (“she works” in the Bantu language) Project, which offers women in Uganda – and, more recently, in the Dallas area ways to improve their lives through vocational training, support groups, education programs and employment opportunities. Akola’s holistic approach also includes investing in village infrastructure and partnering with local health providers. 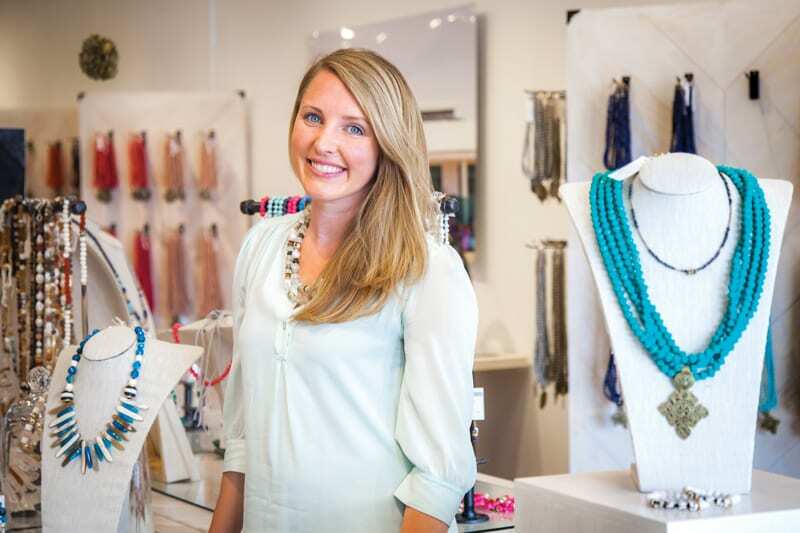 The pieces, made by more than 500 women in Uganda and Dallas, are sold in the Snider Plaza flagship Akola store as well as in 150 boutiques across the United States. Prices start at about $20 for beaded necklaces made from recycled paper and range up to $700 for the newest line, which incorporates such materials as agate, pearl and jade and is available exclusively at Neiman Marcus stores. That business partnership came about via a random chain of connections: Underwood met Neiman’s CEO Karen Katz through Dallas restaurateur Hedda Gioia Dowd, who had heard Underwood speak at The George W. Bush Presidential Center. “Karen Katz wove this magic and catapulted our brand,” Underwood says. Her work led Dixon Hall to invite Underwood to teach a course at SMU called Principles of Social Innovation: Creating World Changers, which she has now done for several years. The class is part of a new degree track in CCPA called Social Innovation and Nonprofit Engagement; it trains students who are interested in working for established nonprofits, and those who want to start their own organizations with a social welfare focus. 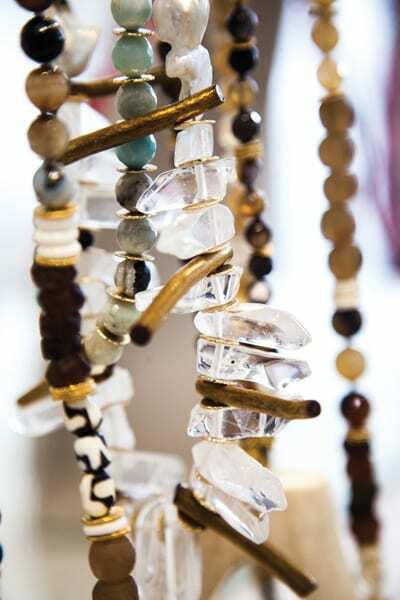 Interested in learning more about the Akola Project or where you can buy the handmade jewelry created by women from Uganda and Dallas? Visit akolaproject.org.